Following the purchase and before demolition we visited the site and advised our client on the impact of the proposals on the adjoining neighbours. We considered the involvement of The Party Wall etc., Act 1996, and the need for scaffold and other access. We provided preliminary information on responsibilities, liabilities, likely costs and timescales. Later we liaised with the design team to minimise the impacts where possible. 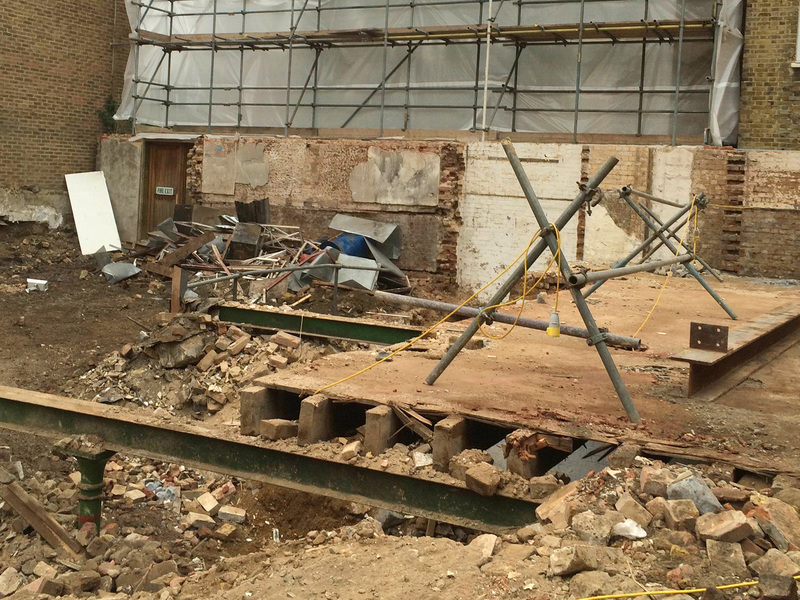 We revisited during demolition and served notices under The Party Wall Act acting as appointed surveyor for the building owner. We negotiated and agreed a number of Awards under the Act with the surveyors appointed to act for the adjoining owners. We contacted other owners where the Act was not applicable and initiated negotiations to agree scaffold licences.